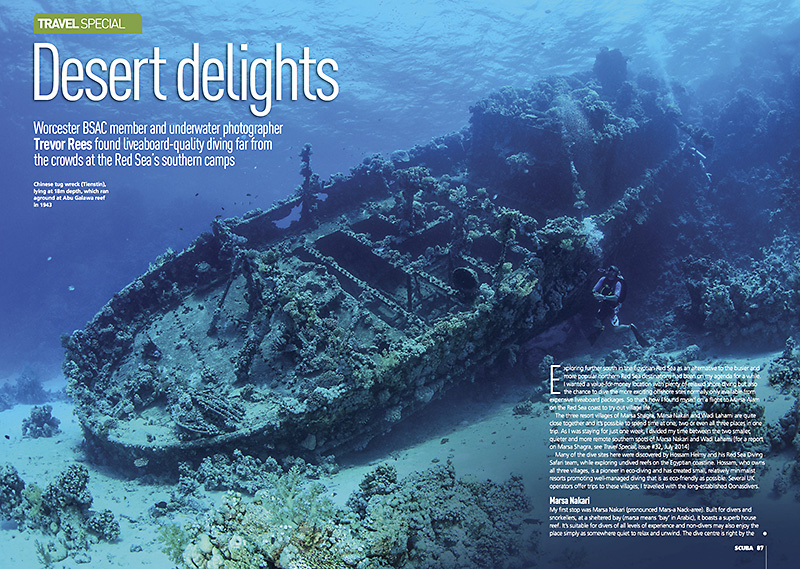 It's not so often I produce something from a warm water overseas destination but this month I have an article in the January 2016 edition of SCUBA magazine. I was commissioned to report on the southern Red Sea camps of Marsa Nakari and Wadi Lahami. If interested, you'll need to get a copy of the magazine to read my findings and check out my photos.